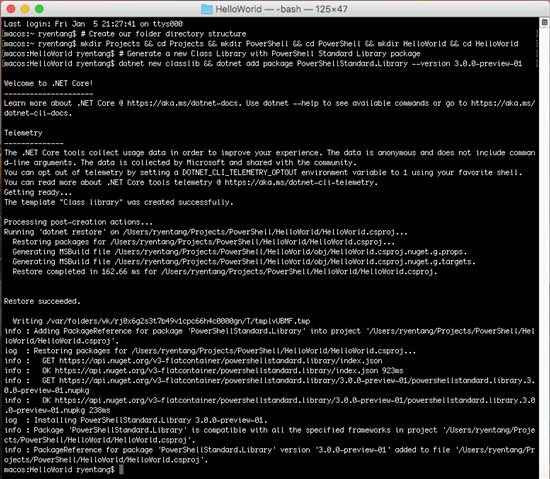 In this article, I will provide a simple walkthrough on how to get started with PowerShell binary module development in C# using Visual Studio Code and .Net Core SDK for PowerShell Core on macOS. In this article, some pre-requisite requirements are not mandatory in order to develop a PowerShell binary module in C# to run in .Net Core 2.0 for PowerShell Core. 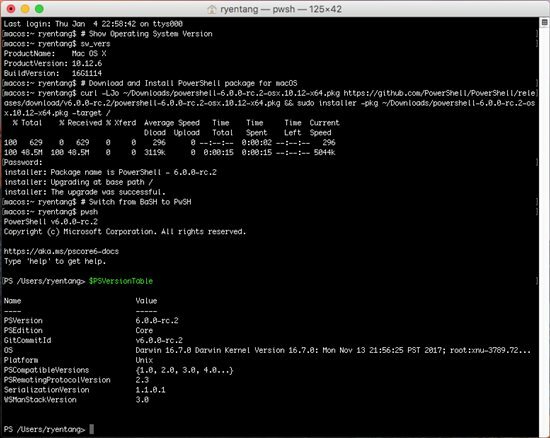 Firstly, we will have to download and install PowerShell Core for macOS in order to use PowerShell but if you already have using PowerShell on macOS / Linux, we can skip this step. 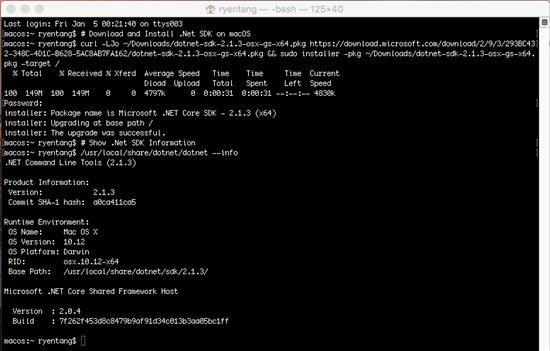 Next, we will have to download and install .Net Core SDK for macOS to be able to generate a new project and compile or build the project for use. 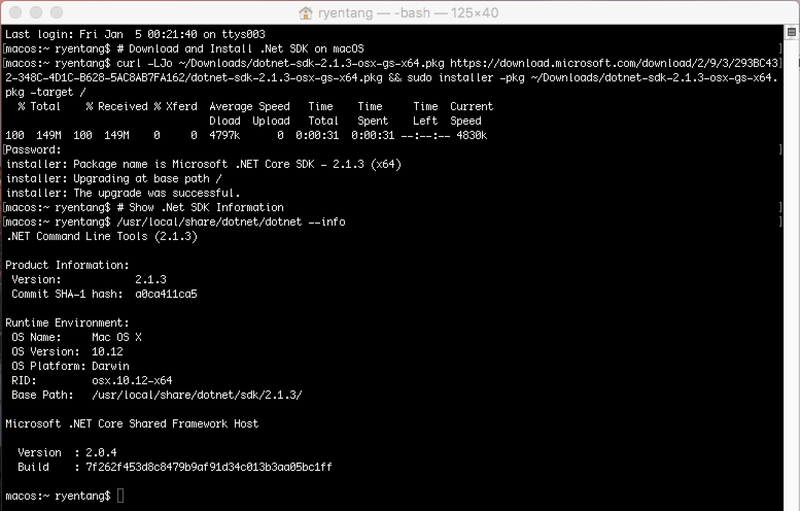 Once the .Net Core SDK has been installed, you can validate the .Net Core SDK using the following command below. Next, we will have to download and install Visual Studio Code as your Integrated Development Environment (IDE) application to develop the PowerShell module in C#. If you have other preferred IDE of your choice for C# development, you can skip this step. 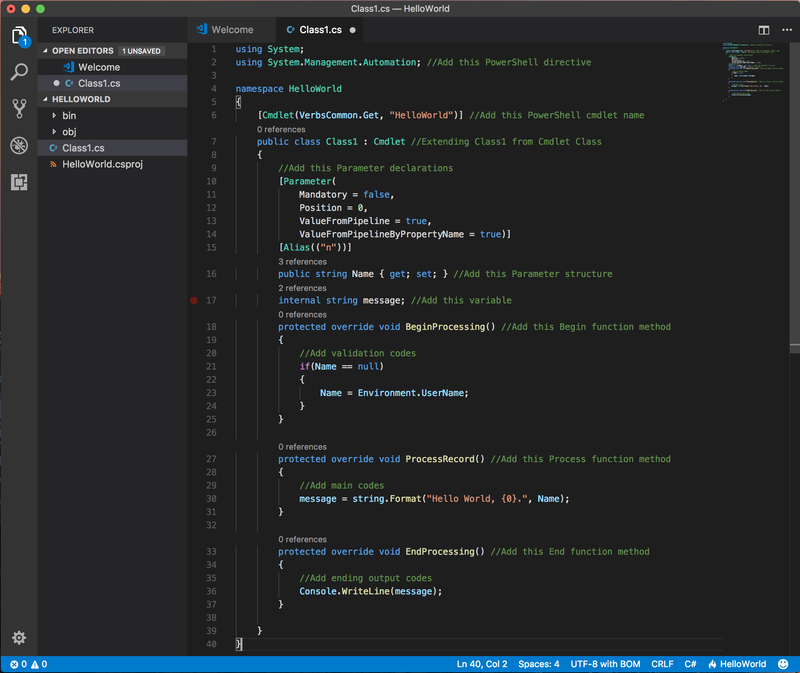 If you preferred to use Visual Studio Code as your preferred IDE application, you will need to install the C# extension on Visual Studio Code. Now that we have all the pre-requisite requirements installed on the macOS, let us begin developing a simple powershell cmdlet using Visual Studio Code and .Net Core SDK in macOS for PowerShell Core. 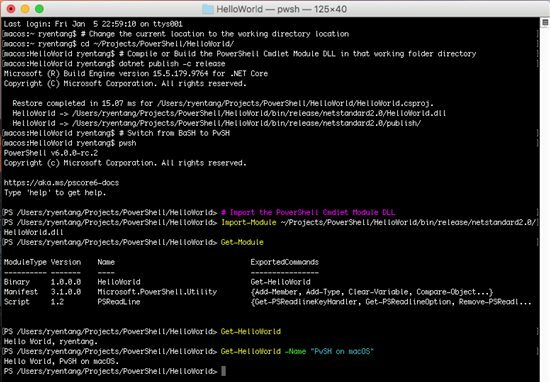 Let us make a Projects folder directory containing a PowerShell folder directory for all PowerShell developments with our working HelloWorld example directory. Once we are in the working folder directory, we will use .Net Core SDK to generate a new Class Library project and add the PowerShell Standard Library to the project. Next, launch Visual Studio Code to edit the Class1.cs with the following basic C# HelloWorld example code that create a HelloWorld module with a Get-HelloWorld cmdlet for walkthrough demonstration purposes. Using .Net Core SDK, we will compile or build the PowerShell binary module into a HelloWorld.dll in the working folder directory. 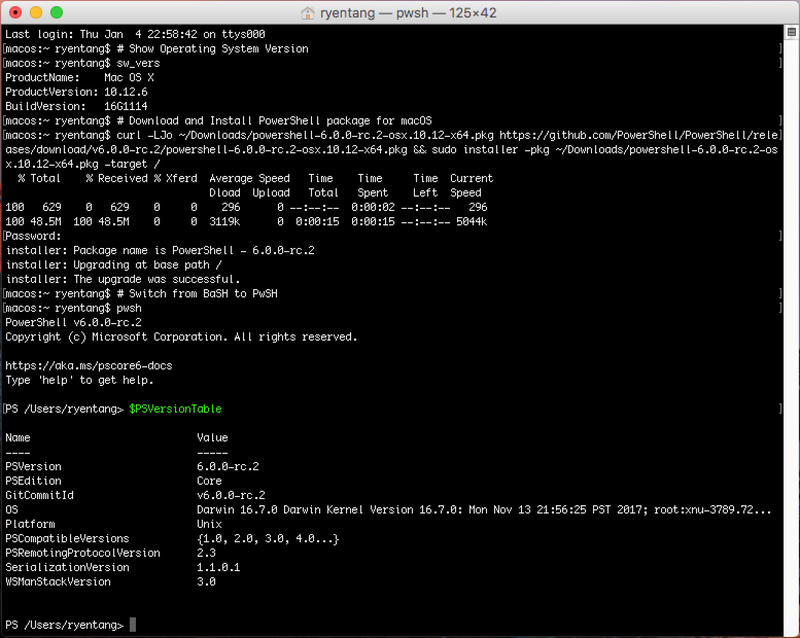 After the compilation of the PowerShell binary module using the .Net Core SDK, it is the moment of truth to import the module into PowerShell and test the Get-HelloWorld cmdlet that we have created for PowerShell Core in macOS terminal.